The prestigious ‘Forbes’ magazine, in 2014, named it as the chain of gyms that has grown the most in recent years. Franchise 500—a world-renown ranking of the best franchises in the world—placed it in the 6th spot. The specialized business publication ‘Entrepreneur’ considered it the ‘Best Franchise in the World.’ We are referring to Anytime Fitness, a business founded in 2002 that has more than 3,200 locations all over the globe with ample presence in the United States (its country of origin), Australia, and many others. Definitely, we are talking about a great example of Marketing for Gyms. How did a small SME from Minnesota manage to convert itself into such a fitness giant? What does a business that has over 2.7 billion customers have in common with a neighborhood business? Well, to be honest, much more than you can imagine. Here at Kolau, we have analyzed the strategy that the company has followed in detail to understand what it was, and sustainably still is, a modest gym that has been able to compete and arise profitably victorious within a very competitive sector. 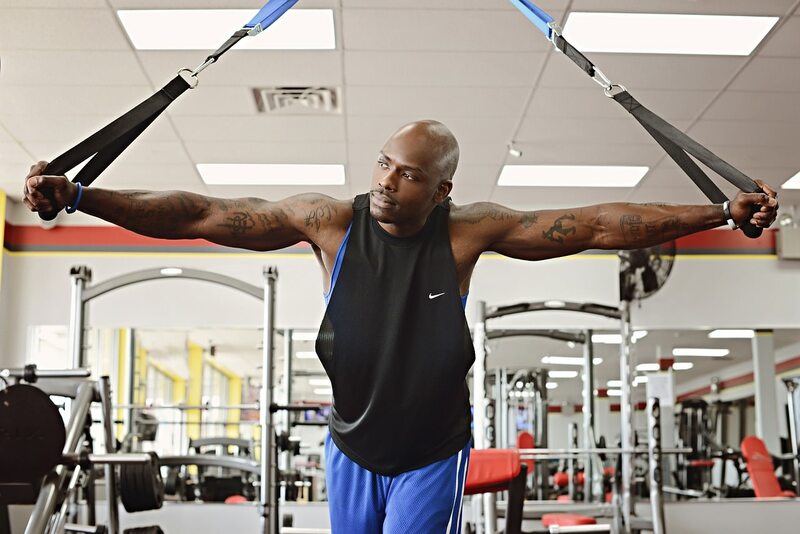 The concept of Anytime Fitness shows us important lessons that we invite you to read post from your ‘desks.’ We assure you that the following five marketing ideas for gyms will help your sporting institution improve and begin to develop muscle. The gym chain centered its communication in various ways that differentiates itself from the rest. One of the most efficient strategies they have used is that they present themselves as the ‘friends’ of the user, the ones to accompany the client when it comes time to reach their goals to be in shape and have a healthy life. In what way, you ask? By distancing themselves from the cold ‘low cost’ networks that expand and show that their gyms are located in many different places. This goes against the tendency of low prices and superficiality-distancing. Within your SME, don’t doubt using this practice as it promotes personalized attention that also values its focus of the collective population. Of course, don’t simply do this, but also talk about it, focus a part of your marketing efforts towards this, and direct it towards individuals so that they know that they are not alone and that the service you provide is unbeatable. 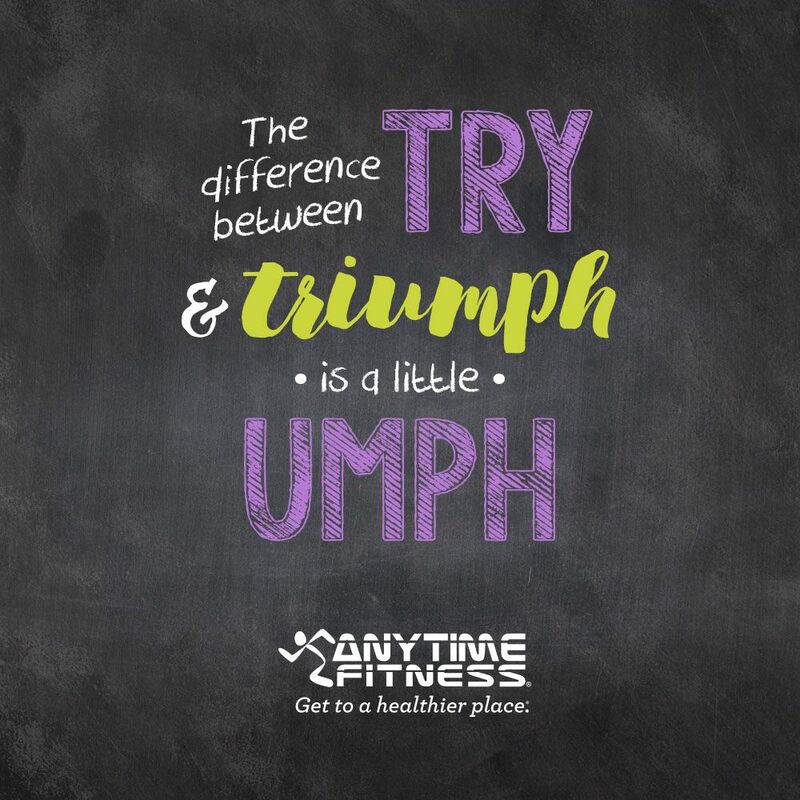 This is one of the keys to success for Anytime Fitness, just as Rod Hill (a representative in Spain and Portugal) has shown in various media outlets. “We have positioned ourselves as a close gym and we consider this to be the most important facet of the gymnasium. We strive to provide a familiar environment and that is closer to the athletes,” he points out. Take notes as this simple formula is adaptable to your business and can make your target market take notice. Generalities must be left for those that can invest millions into their complexes so that they have everything: weight rooms, collective activities, spinning, pools, spas, courts, CrossFit zones, etc. This is based on an economic disbursement that is not at the fingertips of just anyone. This is why it’s important to know what the business’ strong point is (or what it could be) and then focus on that and strive to be the best. It must be worked towards to achieve it in a determined area within the world of sports and fitness. It’s not about having millions of users, but about 300 to 500 or up to 1,000 habitual users that you want to use your facilities faithfully. Based on this, equip your space, thinking about the people that will be using it. Specialization is the foundation of this globalizing world, and in the field of gyms, it’s the best way to compete against the leading chains at the moment. 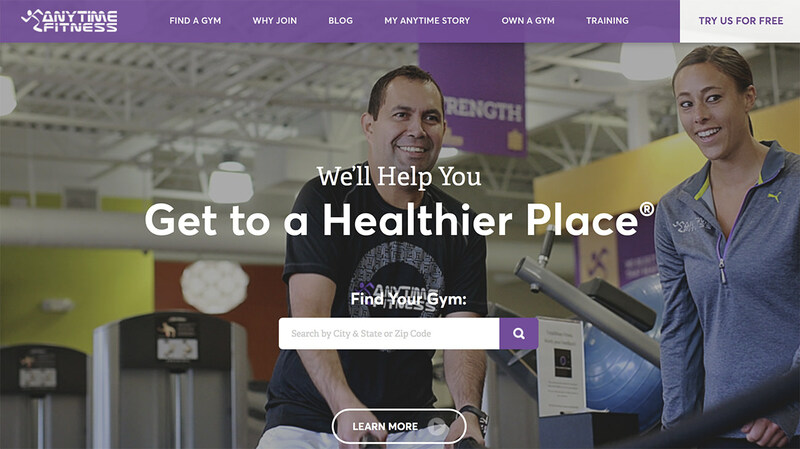 3# Third Marketing for Gyms tip – A Call to Action: Free Trial! How can you show someone who doesn’t know you yet that you truly have what they need, not more and not less? By offering an incentive for a free trial of your services. This is one of the formulas of marketing for gyms that works the best because, the majority of the time, we all need to see something to believe, don’t we? This personalized treatment that we strive for and having exactly what is needed and what people are looking for to be in shape must be verified by those that want to use the gym. 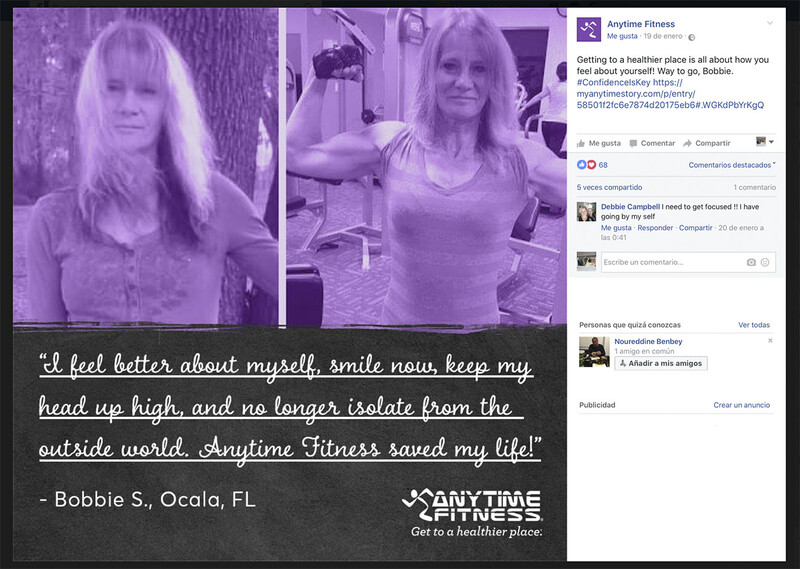 In the case of Anytime Fitness, one of the first messages that you see on their website is, ‘We’ll help you get to a healthier place’ and ‘Find your gym and get a free 7-day pass.’ Pay close attention to these claims. Not only are they telling us that they are there to help us but they are also going to give us not just a few hours in a day, but up to a week to really see if what they promise will be achieved! This can be seen as an investment. Really, it only costs the business ‘time’ measured in the hours ‘spent’ with dedication or the personnel that works with the equipment. The cost-effectiveness of this initiative is spectacular and there is nothing to lose. 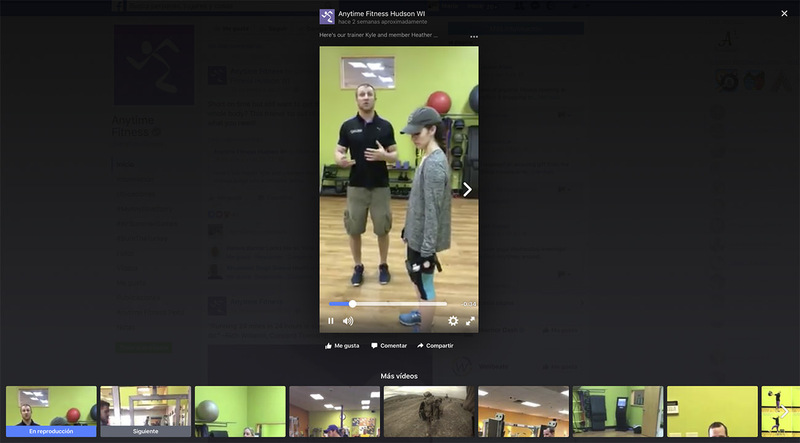 Being present on social media sites such as Facebook, Twitter, YouTube or Instagram is important in the fitness field and in physical education. It’s important to be aware of those individuals with profiles that usually visit sporting installations, generally, people who have a certain initiative and internet users are an important percentage. It’s because of this that you can’t forget the obvious outlets that can be used for promotion as well as to provide personalized attention, so that the clients perceive that you are with them when they leave the gym, continuing to help them fight to reach their goals. In what way? How is this maintained day to day? We will show you some interesting ideas so that you can keep them in mind when it comes time to increase your social media presence for your small business. 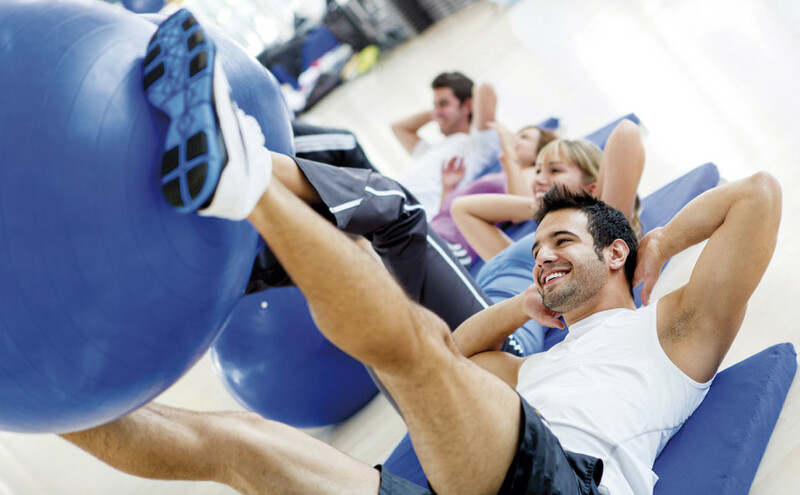 Share moments of the day to day activities at the gym. It’s possible to share photos or videos of special moments that can aid to transmit the philosophy or style of your business. This can also help create a sense of belonging to a group for those who are already a part of your ‘family.’ These will serve as evidence needed for those that might be doubting that a site like this exists. This material can be published on Facebook or Instagram, the social media outlets that will best serve you for this type of content. 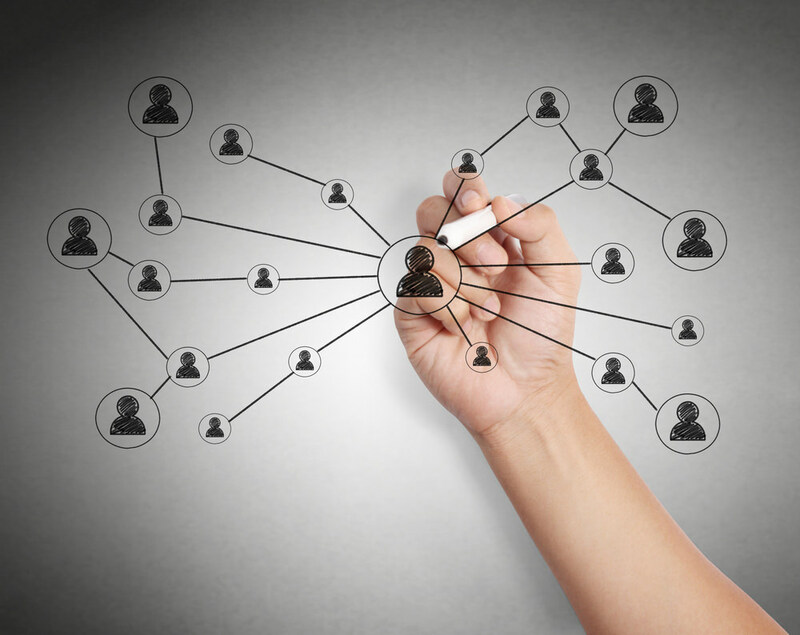 Social media allows you to provide instant attention to complaints, concerns, questions, and suggestions. Through Twitter, you are able to provide solutions to problems/needs that gym goers communicate to you. This does not imply any complexity as having a mobile application will allow you to be operative in practically any instant that you are needed. It’s also important to keep in mind that since you are working to promote your SME, it’s more than easily attainable to work through this outlet so your client perceives that this is part of the personalized treatment you provide. This will help you go a long way in getting ahead of the competition. Create content that provides an added plus to the offline experience. We are referring to motivating messages through Facebook, Instagram, Twitter or a YouTube channel where the users can find small tutorials and mini sessions that can be done from home or directly at the gym. Maintain a website and blog. In today’s world, all businesses should have their own website. It’s the best showcase and an excellent cover letter if you know how to execute it. Don’t ever forget that in actual society when we doubt something, we turn to the Internet so you must be there also. It can be a simple portal that summarizes the values that make your business special, where you can show, for example, the free pass, and provide a blog where you can give advice and work to motivate your clients. In this case, you can also provide advice on purely sports topics, diet and nutrition, and guidelines for a healthy life in which you and your gym form an important team. 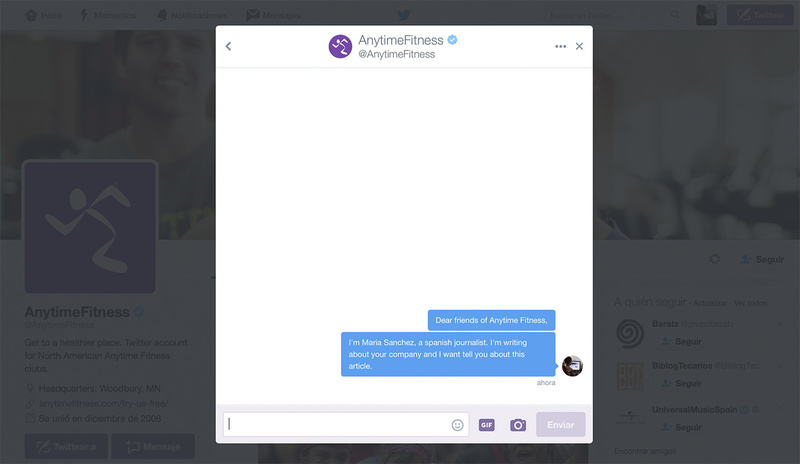 If you are reading this, you probably aren’t a big company with hundreds or millions of locations spread out across the world, like Anytime Fitness. However, this last lesson is very important and you will see why Anytime Fitness has managed to grow and be at the top of the sector despite having a higher cost than the rest. It has expanded in a time when low-cost gyms are experiencing a ‘high season,’ to put it one way. With a median cost of around 45 dollars, this price does not go ‘against’ the advice because it has been able to demonstrate to the consumer the reason for paying a higher rate than at other competing complexes. This is what you must do. Obviously, it is impossible to compare them to the giants in this field because their rates are so low they would barely provide the sustenance an SME needs with much less clientele. However, if you are able to achieve the belief that this value is sufficiently justified, it won’t cost anything to bring them to your establishment and keep them there. How? Let’s briefly summarize: a place in which they will find equipment and space that they truly need, nothing less, nothing more; professional supervisors that attend to the real needs of every person, with specific attention for each one; the possibility of verifying everything firsthand and in a direct way with a free trial for a week where they can really feel the promised experience; and a reasonable price. Once they have experienced this, the monthly cost will become a more logical decision. As you can verify, these five marketing ideas for gyms are applicable to practically any business in the fitness industry that is looking to better its profits and to reach more of its target in an improved manner. It’s essential that all of this becomes a part of an organized marketing plan that considers all of its offline and online influences. These proposals must always be communicated with the public in order to reach those individuals who could be interested in what you have to offer. 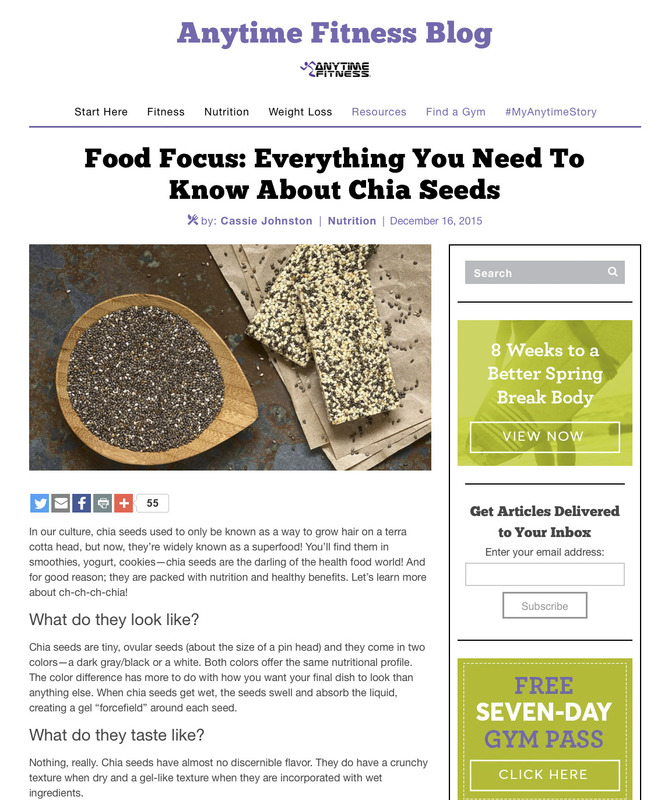 They focus on traditional techniques, such as mail campaigns, as well as reaching the public through social media and digital means. Never forget that, in marketing, everything adds up.